The weekend started with terrible news from Paris. I am hoping that it will get better. My condolences to the innocent people who lost their lives and their families and friends. I wished that terror wouldn't be one of the topics of 21st century but unfortunately we seem to be far away from getting rid of it. I wished there would be a formula to eliminate it from our equations forever. On another note I have been to the hair dresser today. I am going to write about it at another post but I was so disappointed with how it was. The service I received was terrible and at the cashier they tried to get more money as it was written on their price list. I have no words for one of the shopping molls in Stuttgart who are known for their service and customer orientation (Breuninger Stuttgart) to host such a hairdresser i house. I am definitely going to complain about this to the customer service. Oh and my hair didn't turn out to be what I imagined it would be but I can live with that. The FOTDs in this post are all taken prior to the cut so I will show it to you later. I am very excited for today's post. Because I am a 90s kid and I was grown up listening to "Don't Speak", "Hella Good" and "Hey Baby". Although I was never into pop music all that much, there was something alternative in No Doubt to speak to a larger audience. Gwen Stefani has always been one of stage personalities I loved watching, her unique style, her taste in make-up has been of great interest to me. When I have heard that Urban Decay was collaborating with her for a Eyeshadow Palette, I was very intrigued. I am glad to share my thoughts about the early sample I received. Here is a picture heavy post with some of the looks I came up with after wearing it one week straight. 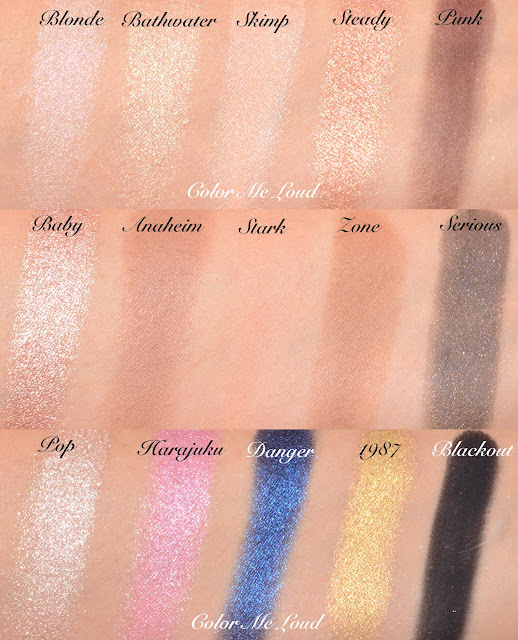 The package of Urban Decay Gwen Stefani Eyeshadow Palette screams fun. I am watching it with awe how modern and chic Urban Decay's package became over the years. The latest palettes' like Vice and Naked Smoky are rocking on the design department. 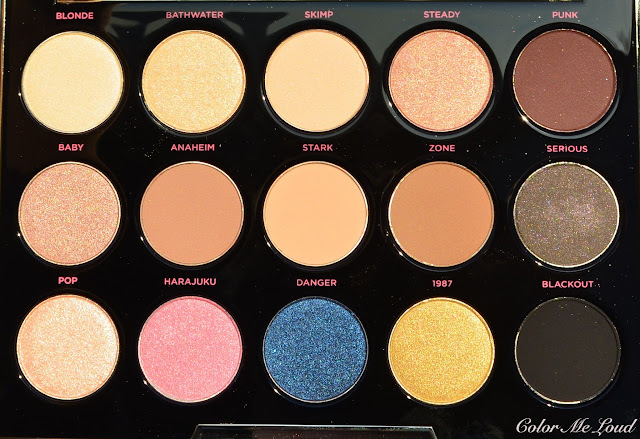 Gwen Stefani palette is no exception. The dotted exterior with fun box design of gold and white as well as Gwen Stefani label, magnetic closure and sturdy housing gets all thumbs up from me. Blonde: A very light cool pink with satin to shimmery finish. swatches and applies beautifully. Especially love it for inner corner highlight. Bathwater: A very light cool golden shade with shimmery finish. It has good consistency and applies beautifully. Skimp: A very light neutral champagne shade with satin finish. This one is like butter, enough said. Steady: A light neutral peachy pink with shimmery finish. This shade is a great all over the lid shade. Great consistency and application. Punk: A very deep plummy brown with matte finish. 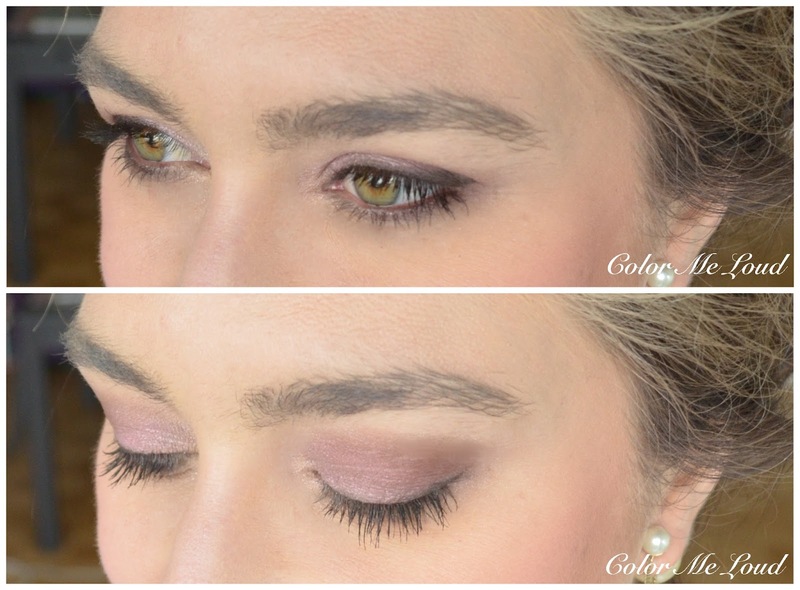 I like it on the outer corner or crease. I love the plum touch in here, one of my fav shades in the palette. Baby: A mid-toned cool rosy taupe with metallic finish. This looks to be very frosty on the swatches but on the lids it didn't emphasize my lines, love this one too. I sing "Hey Baby, hey baby, hey" while applying this. Anaheim: No Doubt is from Anaheim, California, so this is their home town shade. It is a great contour, soft definition shade for neutral looks. The ashy, slightly cool touch in here is great to create a crease. I use it almost in all the looks, love the fact that it is matte. Stark: A tan shade with matte finish. It has great color pay off but it doesn't show up on my skin since it is very close to my neutral undertones and my complexion. I love using this one over the crease as a blending shade. Zone: A mid-toned warm tan shade which is a bit too warm for my complexion but I tried it to blend with Harajuku from the palette and loved the results. Again, great consistency and color pay-off. Serious: A deep gunmetal with sparse shimmer. The shimmer is not very apparent once applied. I haven't tested this one yet so I can't report on if it produces fall out or not. It swatches nicely though. Pop: A mid-toned metallic shade for the lid which is a more neutral version of Baby, which is cooler. Harajuku: This is one of the quarters of Tokyo I love visiting. I am happy to see that Gwen Stefani loves it there too. I can picture her going through the fun stores there and buying clothes and make-up. While swatching Harajuku crumbles a little but it applies well on the lids. I was surprised to see how wearable it turned out on me. You can see the look below where I applied it all over the lid. It lasted long and didn't produce fall-out. Danger: A deep metallic blue for some more fun. 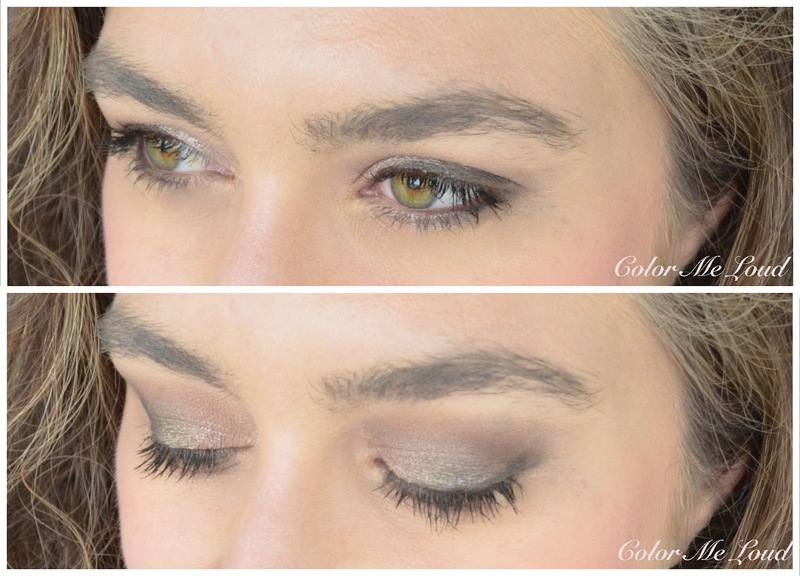 I like it combined with one of the shimmery light shades in the palette as you can see on one of the looks below. I am obsessed about how it combines with baby. This produces some fall out during the application but not too bad. 1987: This is named after the year No Doubt was founded. I have seen that at some forums people were discussing why this is not named B.A.N.A.N.A.S like in Hollaback song from Gwen. It made me chuckle. It is really a banana shade. Blackout: A very deep matte black. Great as a liner or to give the real drama. This shade is available as a single eyeshadow. Here is the first attempt. I applied Bathwater on the lid, Anaheim on the crease and defined the outer corner with Punk. I tried to layer a little bit of 1987 for fun too. Here is the look in context. 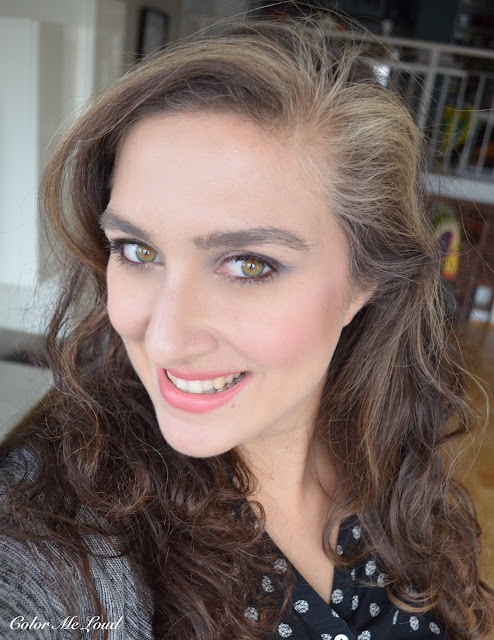 I am wearing Urban Decay Revolution Matte in After Dark (reviewed here). On my cheeks I have Dior My Lady #006. My blouse is from More & More which I purchased recently. I like how it combines with black trousers. Here is the second look. This one is very easy, I applied Harajuku all over the lid because I love the name haha. It turned out to be more wearable than I thought. I defined the crease with Zone, blended with Stark and added a touch of Punk (I love how this sounds). This is the full look with the pink eyes. I combined it with Tom Ford Pussycat (reviewed here) . 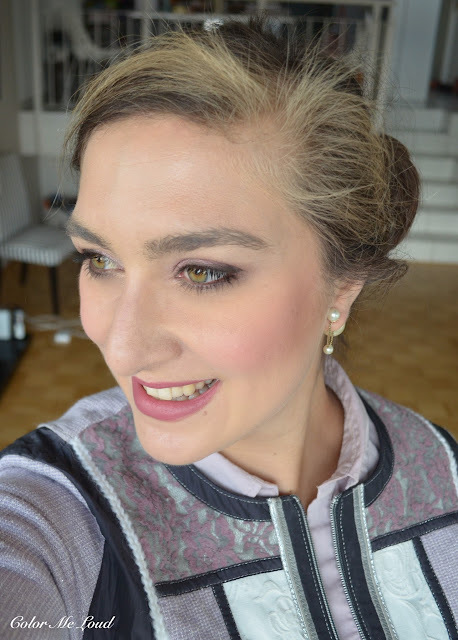 On my cheeks I have Sisley l'Orchidee Rose (reviewed here). And eventually the look I am wore today. I always go to hair dresser with make-up because without I get more disappointed with the results hah! Yes I am almost always disappointed after hair dresser. Anyway here is Danger and Baby, I mean a dangerous baby, love the combo. I was rushing super fast so didn't have the time to blend all too much but loved the result nevertheless. Here is the look in context. 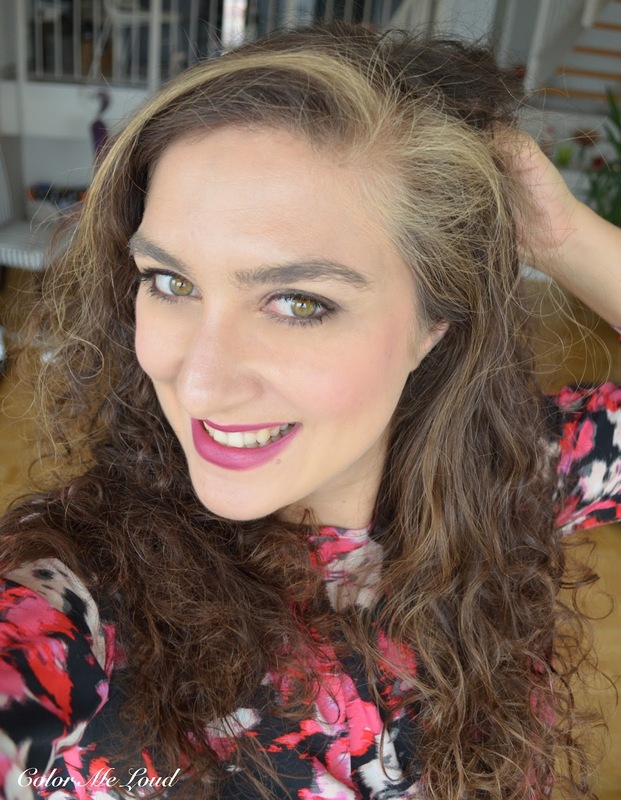 I am wearing Diorific Matte in Radieuse on the lips which I got as a mistake when I was going for the cooler neutral shade Fabulouse. I turned out to like it with blue on the eyes. I am wearing Sisley Blush again. I love it so much that I organized one for a give-away. Stay tuned for that. I love the fun details on the palette too, Magic's In The Makeup is written on the lower corner of the mirror. Have you made it so far? 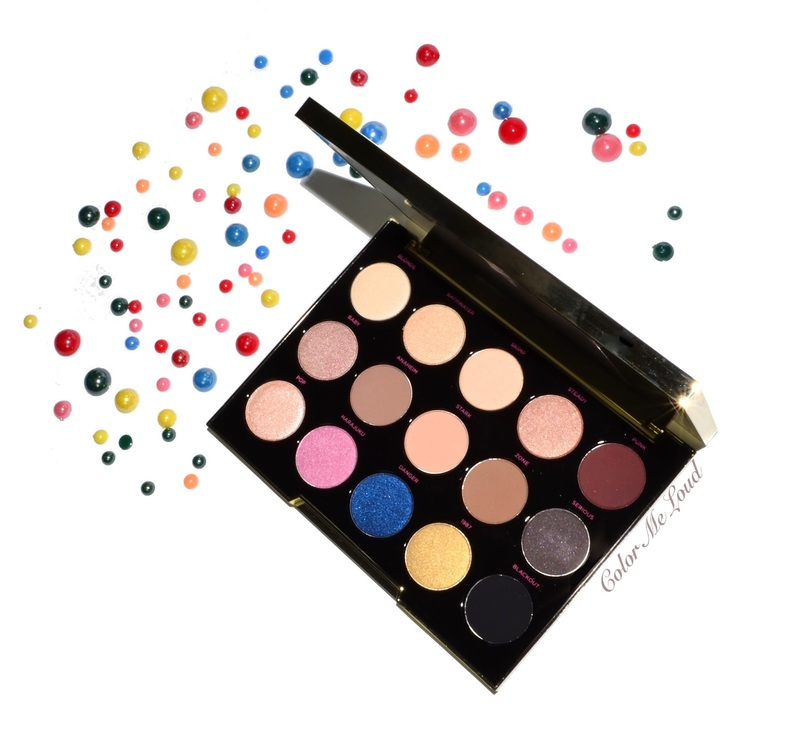 Here is a last look to Urban Decay Gwen Stefani Eyeshadow Palette. I find it to be somewhere between the Naked and Colorful palettes such as Vice or Spectrum. I am so all over Spectrum and swatch it each time I am at the counter but I end up leaving it there because I know I won't be using it after all. Gwen Stefani though is more of a grown up palette with a touch of fun. The looks I get from it are all wearable but they are not boring. Final thoughts: All in all I love the fact that all the shades in the palette are wearable, including the intense gold, blue and crazy looking pink. Everything coordinates well and all the shades have buttery consistency as well as great color pay-off. I am loving it for work at the moment and I think it is a good investment if you like it a bit fun without going very colorful. To me Gwen Stefani Eyeshadow Palette is a lovely grown-up palette in the range. Recommendation to Gwen fans and no-fans alike: Don't miss. Availability/Price: Urban Decay Gwen Stefani Eyeshadow Palette will be priced at 55 € and available at the end of November. Do you like Gwen's style? Will you be picking this one up? Disclaimer: The product in this post was provided free of charge for my consideration. I grew up with No Doubt as well and I've always been a fan of Gwen's music and style, so yes, I am also very excited about this collaboration! Looks like a really nice palette. I love the looks you've made, and especially love Tom Ford Pussycat on you (been eyeing that one long time). Not my kind of palette though. Way too big and too many bright colours. A great one if you like that 😄. I like the cheery bright look of this palette and the looks you have created show its versatility. In terms of hair cutters, I was remembering back that I six male hair cutters-- one after the other-- all Leos and they were all good. The current one is my all time fave. So look for a Leo! You need Pussycat, seriously! I am loving it especially at this time of the year. I know some people don't like huge palettes. I am also more for the quads and quints but l enjoyed this one a lot last week. Blue is beautiful, can be applied full on and sheered out. What I like about blue is also that it combines heavenly with the naturals in the palette. I am loving this palette more than the last UD releases simply because I can wear those to work but there is no "naked" on the label haha, oh and the design is so beautiful. I know how it feels like finding a good hair dresser just to learn that she/he is gone to somewhere else. I quite like Tony & Guy here, I think you have them there as well right? They are like academia, they teach and their star stylist are really good, a little expensive but it is worth it. Yes the packaging and inside, very cheerful indeed, that is the right word. LOL about Leo hairdressers, Leos know how to get along with hair! She is one of a kind, a fun and independent woman with a style. Love her. I can't wait to see what kind of looks you come up using this palette. Omg those colors are good enough to eat. I'm so drooling. Love the look on you as well. Sorry about the bad experience at the hair shop. I would totally complain about poor service too. You look fab though, :)). We're only getting this palette mid December, so I guess I'll have to wait! Glad you like this palette, but I'm not a fan. There are way too many light shades that are all going to look the same on my skintone. I do like the blue and pink though, and I wish there were more pops of color. to reflect her fashion and music. Thanks from France ... La terreur ne nous asservira pas et la solidarité qui s'exprime de par le Monde nous montre que nous ne sommes pas seuls : merci ! Talking about makeup, this palette is pretty but the whole last rank of shadows ( except Pop) is not for me = to " disco" for me !! 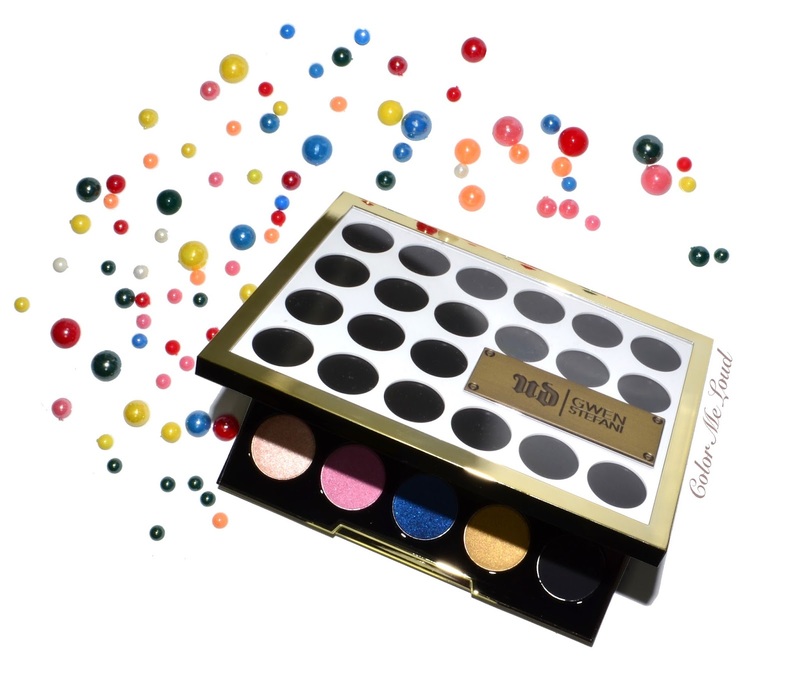 I love Gwen Stefani's style and I have been really looking forward to the launch of this palette. A lot of shades look a bit similar in my opinion but I will probably still buy it. Harajuku & Danger are SOOO Gwen Stef!!! I remember her pink hair... gosh i wanted it!! I ha vent seen this palette anywhere here yet, but i'm on the prowl now! I'm shocked by how lovely and wearable these shadows appear. I have a slight weakness for Gwen as well. I think the middle row is my favorite, especially Serious. 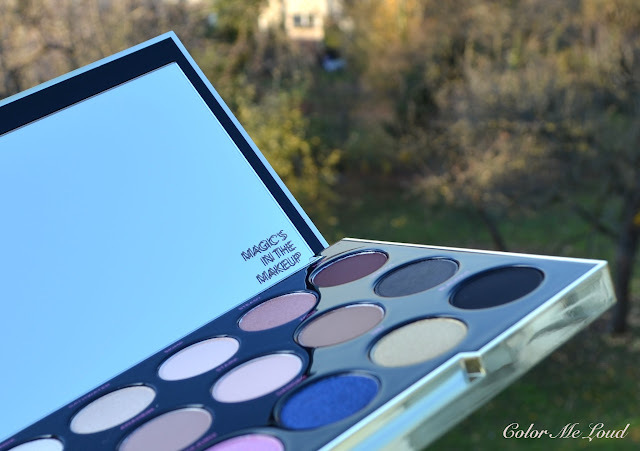 Urban Decay did well with this palette, a more sophisticated departure from their usual showy offerings. Great review and stunning looks.